Gascoigne Halman is delighted to have been shortlisted for two national estate agent awards. The leading independent estate agent has been shortlisted in the Relocation Agent Network (RAN) 2014 Best Agent in Cheshire & North Wales and Lee Tickle from the company’s Stockton Heath office has been shortlisted in Relocation Agent Network’s 2014 Employee of the Year Award. RAN is an affiliation of the country’s leading independent estate agents who together make up the most influential estate agency force in Britain. RAN is backed by Cartus, the world’s largest relocation company. By being part of the RAN alliance, Gascoigne Halman has the first opportunity to access the large number of purchasers moving into the area from other parts of the country through over 620 offices nationwide. The Best Agent award is an annual prize for the agent that has consistently made the best overall contribution to the Network throughout the year. To reach this stage of the award agents must demonstrate excellent customer service, independent business initiatives, local market share and a commitment to the Relocation Agent Network principles. Lee Tickle’s award acknowledges individuals who go above and beyond to provide the highest levels of customer service in their estate agency. The winners will be announced on the 14th November at the RAN Awards Dinner in London. 24 stunning new apartments, which will form the centrepiece of Connaught Place, the new-look Hale Barns village centre, have been released for sale, with prices starting from £249,950. 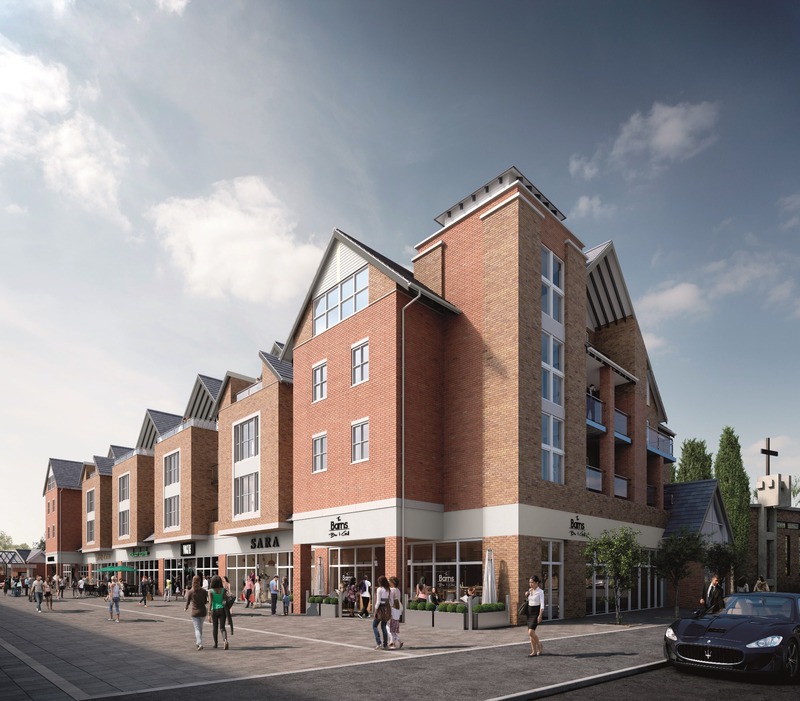 The 24 two and three bedroom apartments at Connaught Place, the brand new development on the site of the former Square Shopping Centre, will sit alongside new shops, cafes and restaurants as well as a Booths supermarket offering a vibrant and attractive new destination for Hale Barns. Ideally located at the heart of Hale Barns village, the apartments at Connaught Place are contemporary in style and offer a choice of internal layouts. All of the apartments have at least one terrace (some even have three) either off the open plan lounge or one or more of the bedrooms. 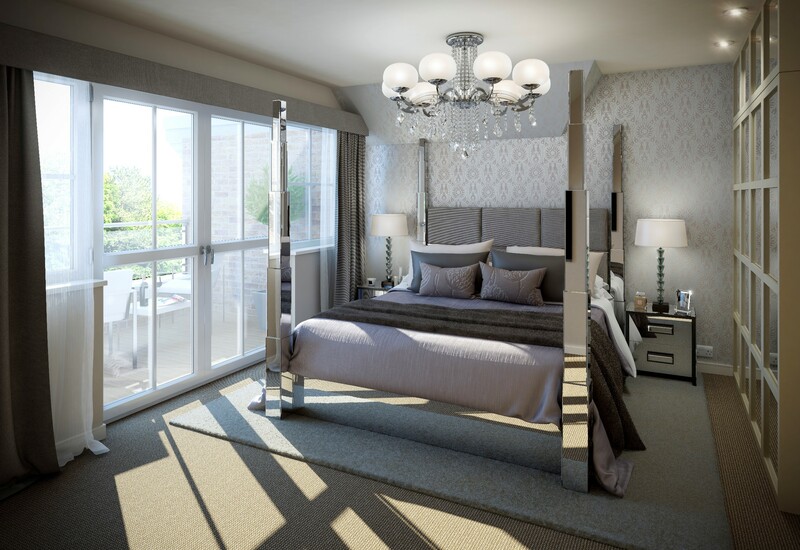 Designed for a luxury lifestyle, the apartments offer a high quality internal specification. The kitchens are fitted with Neff integrated appliances, bathrooms feature Villeroy & Bosch sanitary ware and showers by Hansgrohe with underfloor heating as standard. The apartments also feature oak flooring throughout the kitchen, living room and entrance hall providing a natural yet luxury feel. With energy costs in mind, the apartments are heated with a highly efficient heating system, and the kitchens and living rooms feature energy efficient LED downlighters as well as a sophisticated ventilation system. The properties at Connaught Place all come with secure parking. Commenting on the new development, Michael Thompson, head of Land and New Homes at Gascoigne Halman said, “The former 1970’s precinct at Hale Barns was in need of a face lift. This new development is just what Hale Barns has needed for a long time, providing the village with a centre that residents can be proud of. Anyone interested in obtaining more information on Connaught Place should contact the Hale office of Gascoigne Halman on 0161 929 8118. 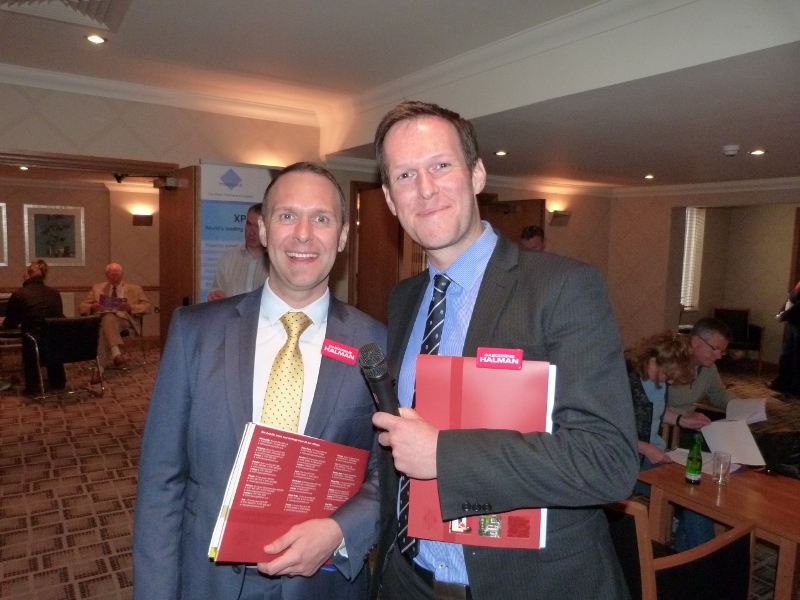 Gascoigne Halman’s second Landlord and Investor Seminar proved that the Buy to Let market is as popular as ever. The event which was held at the Cottons Hotel in Knutsford on 22nd May, saw 100 people in attendance. The idea behind the event was to arm potential and existing landlords with sound advice about approaching the lettings market and getting the most out of being a landlord. Supported by a panel of local experts from Baker Tilly, Aldermore and Chafes Solicitors, the event attracted both new and existing landlords, as well as those interested in finding out more. Director of the Gascoigne Halman Lettings division, Philip Chadwick, commented, “I’m delighted that so many people were able to make it to our second seminar. There were extremely positive comments across the board and many of the attendees relished the opportunity to gain some inside knowledge about the Buy to Let market from our panels of experts both during and after the event on a one-to-one basis. Gascoigne Halman we will be holding their next Landlord & Investor Seminar in the Autumn and will be releasing details nearer the time. 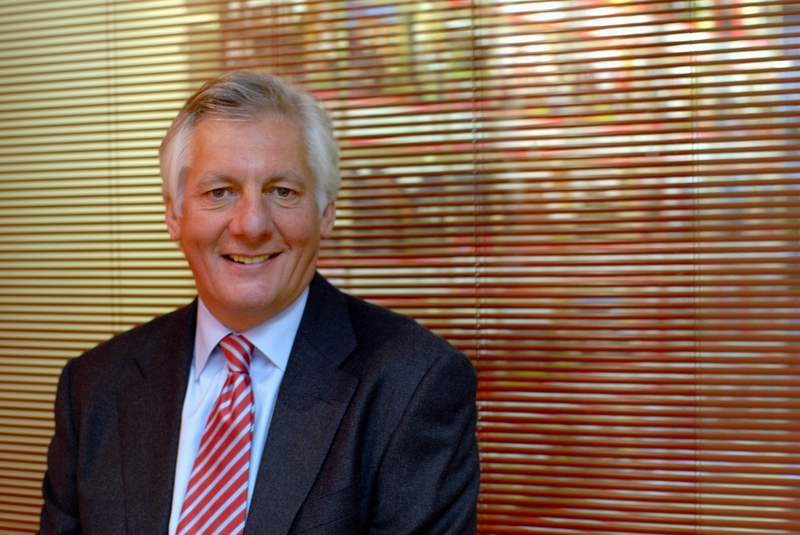 John Halman is Managing Director of Gascoigne Halman, an estate agent with seventeen offices in South Manchester and is the North West Regional Residential Spokesman for the Royal Institution of Chartered Surveyors. The much heralded green shoots of the property market which have been referred to over the course of the last couple of years are now well established and moving close to full bloom! As the year has progressed we have seen a steady increase in sales and also an increasing number of press articles relating to the recovery of the property market with many anticipating an undesirable housing market boom. For the most part these articles become self fulfilling as they provide the confidence that the market lives off to encourage purchasers to buy, and sellers to sell. Much of the speculation surrounds the affect of Help to Buy 2, the Government’s housing initiative where they will offer guarantees on the first 20% of the loan, thereby allowing cheaper mortgages for purchasers requiring up to a 95% mortgage. Whilst it is still early days, the products that have been released so far tend to be at interest rates of around 5% and some carry an arrangement fee as well. This compares to current loans which are normally available for purchasers looking to borrow not more than 60% at a range of rates between 2% and 2.5%, fixed for three years. Whilst Help to Buy will undoubtedly be a catalyst for purchase for some buyers, it is unlikely to transform the nature of the property market and will have a less beneficial effect than the press speculation that surrounds it. There is no doubt, however, that the property market needs first time buyers and any assistance that can be given for this type of purchaser, many of whom will already be living in rented accommodation, can only be regarded as helpful and therefore a stimulant to the market overall. There are currently many people paying rent in excess of that which they would pay in mortgage payments, if only they could find a deposit and have the confidence to buy. Each of these aspects has been aided by Help to Buy 2. This increase in confidence has brought with it an increase in activity in our own property market and has also resulted in pressure on prices in the more desirable locations for the first time in five years. Our number of housing transactions has increased over the last six months on a month by month basis and it would seem that there is a considerable amount of pent up demand from families who have been sitting tight for the last few years and are now looking to move over the coming year. For this reason if no other, we are optimistic that those blooms I referred to may well be in full flower by next spring, but beware of the coming frosts. What’s happening to the value of your home? At long last there is some improvement in the level of confidence and activity in the housing market. Gascoigne Halman is represented by seventeen offices across the region and, as such, our activity levels provide a useful barometer for what’s happening with the property market in your local patch. I am sure you will be pleased to read that last month we saw not only increased enquiries but also the highest number of agreed sales since 2008. Rightmove, the country’s most popular property portal has recently announced that average asking prices in England and Wales have passed £250,000 for the first time. They have also stated that this is a 2.7% increase on a year ago and a 1.2% increase from the month before. This was the sixth consecutive monthly rise. Rightmove statistics also indicate that whilst prices in the South East were racing away climbing 14.8%, those in the North, which not only reflect our area but the wider region, rose by 9.2%. Rightmove said that this represented the possibility of a broader housing market recovery and this has certainly been reflected by the activity levels and number of sales generated across our offices in South Manchester, North Cheshire and the High Peak. The good news for home buyers is that prices have adjusted significantly and, according to the Nationwide Building Society, have fallen 20% in real terms since the autumn of 2007. According to Oxford Economics and the Institute of Fiscal Studies’ Green Budget, prices are now below their long term trend. They also point out that this is further backed up by the House Price Earnings Ratio which has fallen a quarter since the crisis and is now in line with its average since the period of low interest began in the 1990’s. One of the recent factors that has had a positive impact on the market has been the increased competition among many lenders enabling more competitive mortgage deals for first time buyers and those requiring a high loan to value. These groups have been penalised over the last few years and this in itself has been a factor in slowing down the property market. So we are seeing welcome and noticeable improvements in the property market but there are words of caution. The Intermediary Mortgage Lenders Association says that post-recession home ownership levels have fallen dramatically and transactions are still operating at only 60% of those at the peak. As a consequence it is likely that the private rented sector will continue to satisfy a significant part of our housing needs over the coming years. The future sees the introduction of the Government’s Help to Buy Scheme for second hand homes next January and this is a 95% tax payer backed mortgage scheme. Whilst this has attracted some criticism as it could provide an artificial stimulus to the market and cause prices to rise, it appears that some buyers are pre-empting any potential scheme-induced price rises by doing a deal now. After several years of having to deal with a significant slump in confidence in the housing market, and with a lack of available funding, this commentator is certainly relieved that on this occasion there appears to be sound reasons for optimism for the market in our area. 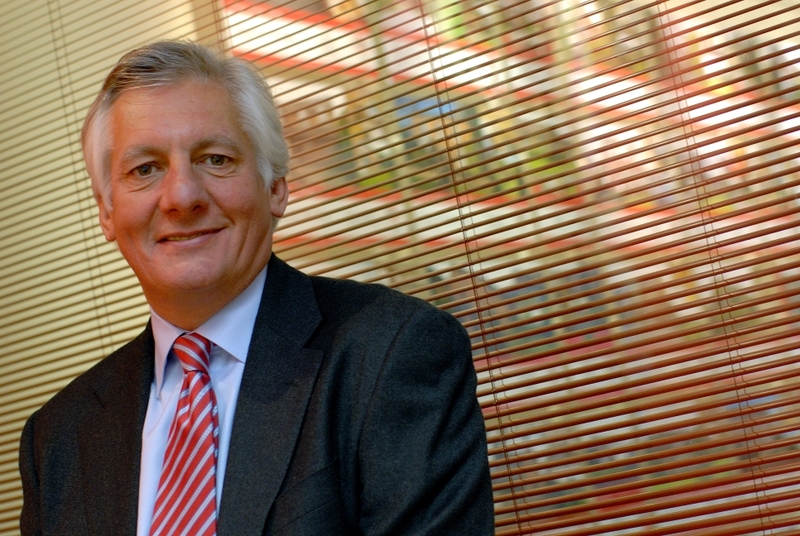 Local independent estate agent, Gascoigne Halman, has welcomed the Chancellor, George Osborne’s, new homebuying scheme called ‘Help to Buy’, announced in last months’ budget. The Chancellor said that the plan was “a new offer to the aspiration nation” as it will help families and individuals struggling to find a deposit for a home. The scheme has two parts. The first, available from April 1st, offers buyers the opportunity to take an interest free loan from the government. It is available to any buyer of new property with a maximum purchase price of £600,000. This is an expansion of the FirstBuy shared equity scheme. The borrower will need a 5% deposit with the government lending up to 20%, interest free. The remaining 75% will come from mortgage lenders. The government is making £130bn available for this part of the scheme. The second part of ‘Help to Buy’, which sees the government acting as guarantor for some of the borrower’s debt, is available from January 2014 and is open to all buyers of new build and existing homes. It replaces and extends the NewBuy scheme where currently the mortgage guarantee is co-funded jointly by the government and developers. Under ‘Help to Buy’, the mortgage indemnity will be provided solely by the government. Borrowers will need a 5% to 20% deposit, meaning they will be able to borrow up to a 95% loan to value mortgage. The government guarantee will cover the remaining amount above 80% loan to value. The maximum purchase price will again be £600,000. Commenting on this part of the scheme, John said, “The final details of this second part of the scheme have yet to be finalised but from the information we have you can see that the mortgage underwriting scheme will provide much needed help for the second hand market. Both parts of the scheme will run from three years. 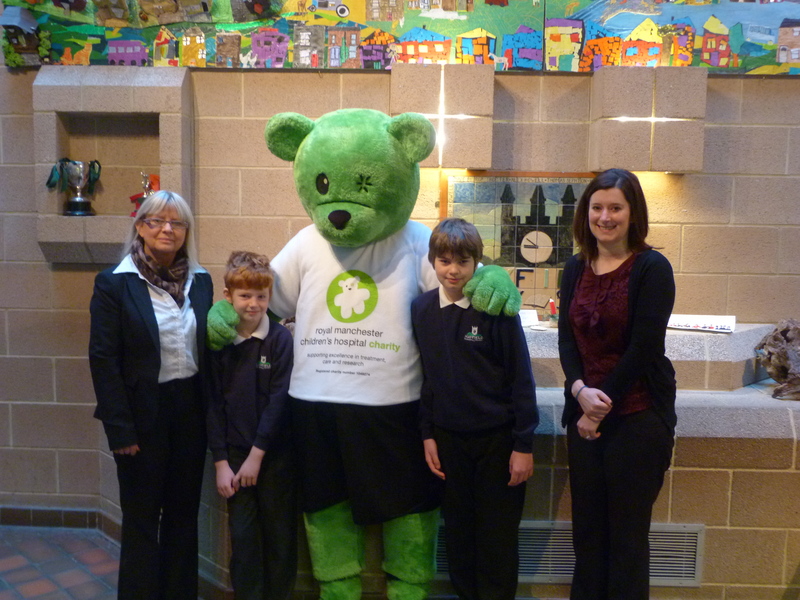 Students from Hayfield Primary and staff from Gascoigne Halman’s seventeen offices, accompanied by Humphrey, donned their walking boots, along with their families and canine friends, to complete the challenging 8 mile Kinder Scout Walk in October. 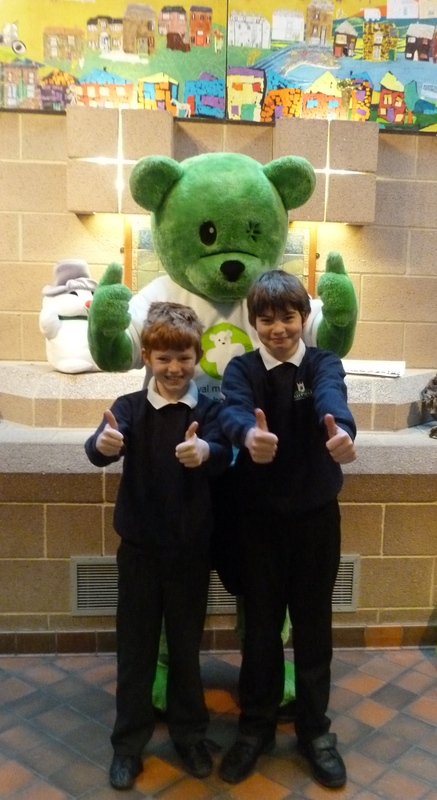 Student Harry Batty-Stokes and his friend Thomas Reimann-Jones were surprised with a visit from Humphrey, in recognition of the two boys raising the most money for the walk. The enthusiastic walkers met Humphrey at the Sportsman’s Inn at Hayfield on a wet Sunday but the rain didn’t put them off and they put their best feet forwards to head up Kinder Scout, taking in the stunning scenery as they went. This was the generous estate agent’s fifth fundraiser in their 2012 quest to raise money for this very worthwhile charity. Gascoigne Halman Limited is registered in England and Wales under company number 2274169, Registered Office is 42 Alderley Road, Wilmslow, Cheshire, SK9 1NY. VAT Registration Number is 548 2123 52. For the activities of advising on regulated mortgages and non-investment insurance contracts, Gascoigne Halman is an appointed representative of Connells Limited which is authorised and regulated by the Financial Conduct Authority. Connells Limited’s Financial Services Register number is 302221. What is your favourite style of property?